“Songwriting to stir the soul” (The Music) DIRTY RASCAL play uplifting, melodic rock, rich with vocal harmony and infectious grooves. From sweet longing to classic 4-piece rock. What Would Love Do, the 2nd single from You be the King, is a reggae inspired track rich with tasty guitar and vintage keys. Andrew McSweeney’s vocal is simple and effective, Jerry Speiser’s drums push into the chorus the whole track lifts with a transforming energy. It suggests that in challenging times, simply asking can allow answers to present themselves. ‘Battle Scars’ is an account of realisation and acceptance. Scars are reminders of the past but they can be catalysts for newfound motivations. Battle scars aren’t just physical signs of injuries sustained in the heat of a firefight - they can be life-long strains of emotional trauma as well. ‘Battle Scars’ is an account of realisation and acceptance. Scars are reminders of the past but they can be catalysts for newfound motivations. Ivor S.K. is an emerging young blues talent. Owning a dark, smoky voice and liquid guitar stylings, he pays homage to generations past while cultivating a remarkably fresh approach. Travelling the gamut of the blues, Take The Good With The Bad is a stripped back swamp stomper. Digging deep into the genre, the track melds various sounds together with trademark humour and ease, all over an insatiable groove. Blow is unadulterated guitar riffed classic rock, with songs to get your feet moving and feed your soul and a ballad or two to touch your heart. Does she leave because of his less than desirable lifestyle or is she the cause of his self-imposed destruction. Either way he still thinks that she will miss him when he totally destroys himself and moves on to another world. Delusions of grandeur fuelled by Jack and yet another beer. 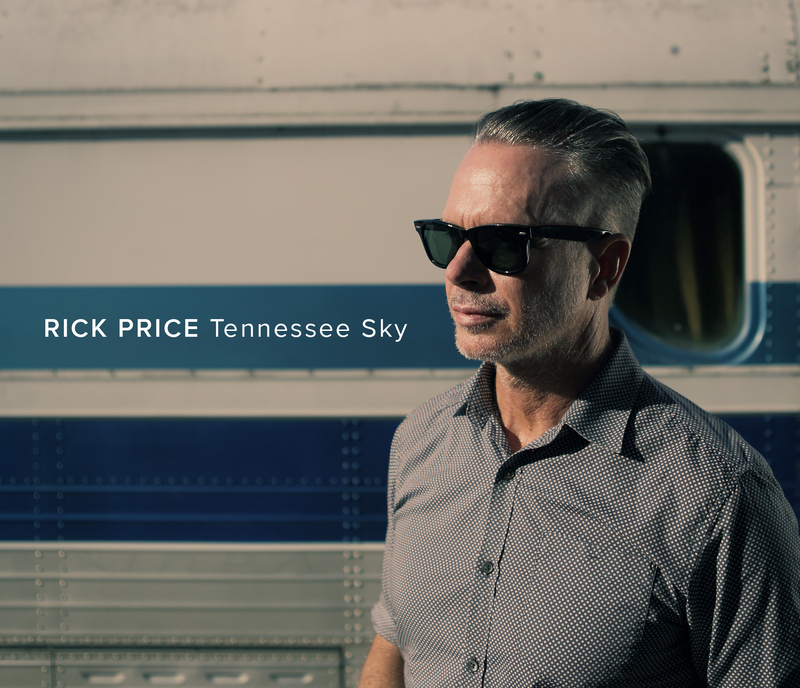 Australian Singer/songwriter, Rick Price has walked the journey many musicians dreams are made of, with a career spanning three decades. Prices success speaks for itself. "'Work that Fire' is the flagship song from my Tennessee Sky album. A theme of unity and solidarity. A metaphor for transformation to the higher ground, where we can do together what we cannot do alone.” - Rick Price. This is a story about life in the second decade of the millennium. Looking for happiness, overcoming hurdles, turning another page with great expectations, finding and losing love and looking for a new start as unfavourable circumstances come along. We all look for new starts on our journeys through life. Dino embraces music to his very core and continues to shape his career whilst exploring new sounds in his own electrifying way. This song will take you on a joy ride through the streets of ‘infatuation’... and when those feel-good endorphins kick in and start pumping through your veins you’ll want a whole lot more! Alby Carter has a passion for both the emotional songwriting and atmospheric justice. "This Way" is a feeling a person gets when they are overwhelmed with love and attraction to another and a feeling they can no longer be without. Supergroup rock n roll band featuring members of Screaming Jets, Rose Tattoo and Faceplant! Your Time was influenced by the life and times of Former Screaming Jets Manager and mentor Aaron Chugg who tragically passed while on tour in 2013. His attitude to life was “seize the day” and make this moment “Your Time”….the track pays tribute to the man and his message. The Dead Daisies are:- Doug Aldrich (Whitesnake, Dio), John Corabi (Mötley Crüe, The Scream), David Lowy (Red Phoenix, Mink), Marco Mendoza (Whitesnake, Thin Lizzy) and Brian Tichy (Ozzy Osbourne, Foreigner). Written by David Lowy and John Corabi, inspired by the relationship with Doc Neeson, along with the musical influences from Rick and John Brewster - The Angels. “It’s a very meaningful to us and an ode to my friend Doc Neeson. It's very poignant with what’s going on in the world today." Burn is the last straw. Saying stuff everything, stuff it all, throw it in a heap and "burn it all!" But with therapeutic intent! Knowing it isn't the end, it's just a new beginning, trusting in the process, finding peace in the unknown. - with "watch it rise again" lyric. Rock legends!Oz Rock Royalty from the Screaming Jets, Rose Tattoo and Faceplant fronted by the super powered and super stunning Holly Wilson! Classic Rock at its finest from truly authentic rock legends! ‘Annie’ is an anthem illustrating the journey to empowerment of a single mother escaping a dark relationship. Sometimes you just can’t stay with someone even if you do love them. A light hearted look at some of the whacky and disturbing things I read in my Facebook feed. Delta Pines is an autobiographical tale of a trip taken through the heart of the Mississippi Delta, chasing the ghosts of the blues. Meaty footstomps, soaring bottleneck guitar, stinging licks and deep fried vocals come together to create a rich tapestry of sounds in a celebration of the American south. No lemon. No salt. No chaser. Melbourne’s high energy trio, Tequila Mockingbyrd are a straight up shot of hair-flippin’, boot-stompin’ rock n roll. A disco-punk tribute to youth, weekend antics and living life to the full. Written after one of the many weekends we were escorted out of Melbourne's most famous rock n roll pub “The Esplanade Hotel" by over-zealous security staff. ‘I Smell Rock n Roll’ is a heavy, foot-stomping belter best enjoyed whilst driving, and was written whilst imagining what the Lynx fragrance ‘Rockstar’ would actually smell like. The Dead Daisies are bassist Marco Mendoza, keyboard player Dizzy Reed, guitarist David Lowy lead guitarist Richard Fortus, John Corabi (Mötley Crüe/RATT) on vocals and Brian Tichy on drums. This track is not a political statement, but a call out to everyone that “It all starts With You And I”. It touches on all the current issues happening on our planet. It addresses many controversial subjects such as Refugees, Religious Conflicts, Wars, Climate Change and Corruption in our society. "The band is comprised of a rotating line-up that features some of the world's best rock musicians including members of Guns N' Roses, Mötley Crüe, Thin Lizzy, and Ozzy Osbourne". Empty Heart is about a break up of a relationship and the feeling that without the other person they have nothing to offer the world. They need the love of the other person to make them feel good about themselves. Without them they are nothing but a barren wasteland.